Eggplant dishes are very popular in Georgia and there are many variations. 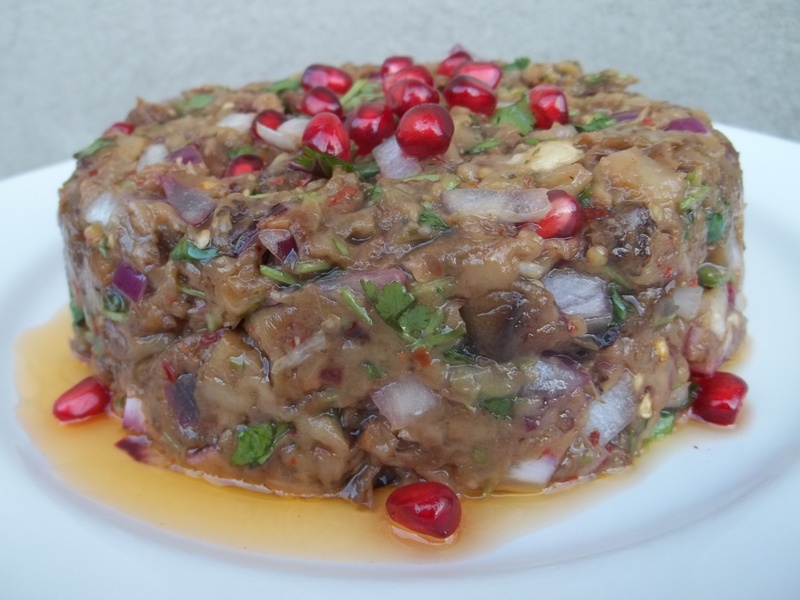 In this family recipe we show how to make eggplant caviar with pomegranate. 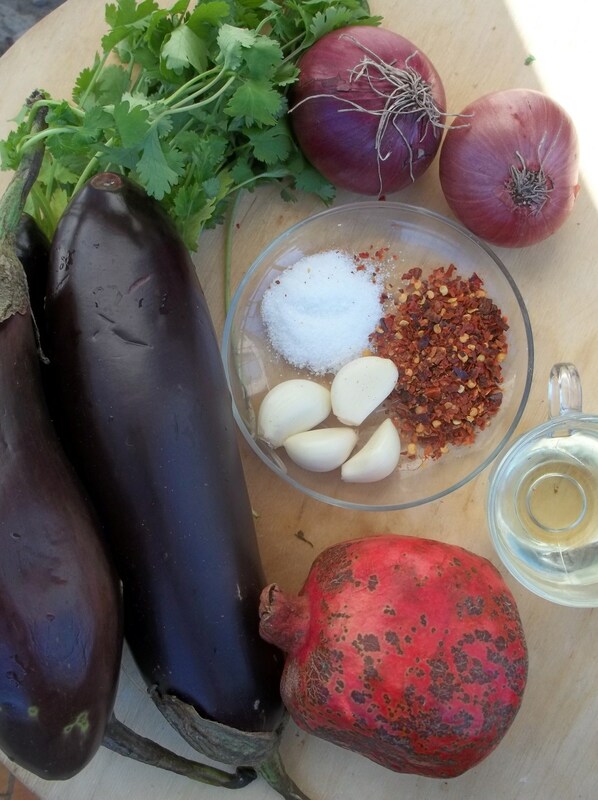 Ingredients: 1 kilo of eggplants, 2 red onions, 4 cloves of garlic, 1 pomegranate, 1 tbs of coarse hot red pepper, 7 tbs of oil, 1 tbs of white wine vinegar (optional), 20 grams of fresh green coriander and salt (amount dependent upon personal preference). 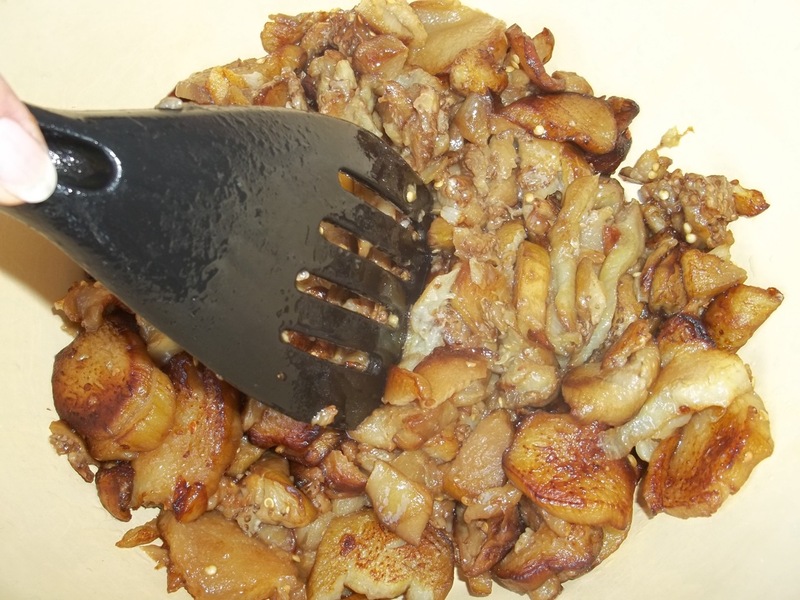 Preparation: Remove and discard the skin from the eggplant, slice and add to a pan of hot oil. Fry for up to 15 minutes on a medium heat. Once fried, chop and squash the eggplant with a spatula. Transfer to a mixing bowl. 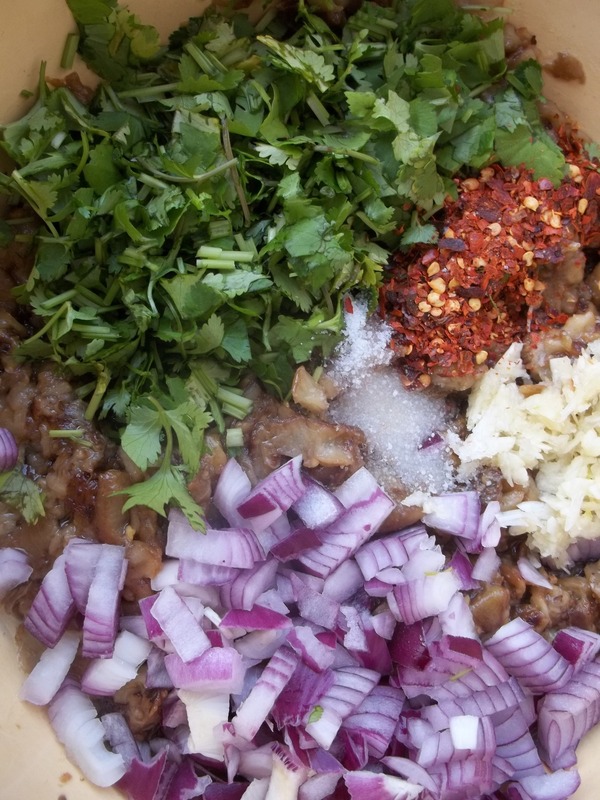 Chop the coriander, onions and garlic and add, together with the hot coarse red pepper and salt, to the eggplant. Mix thoroughly. 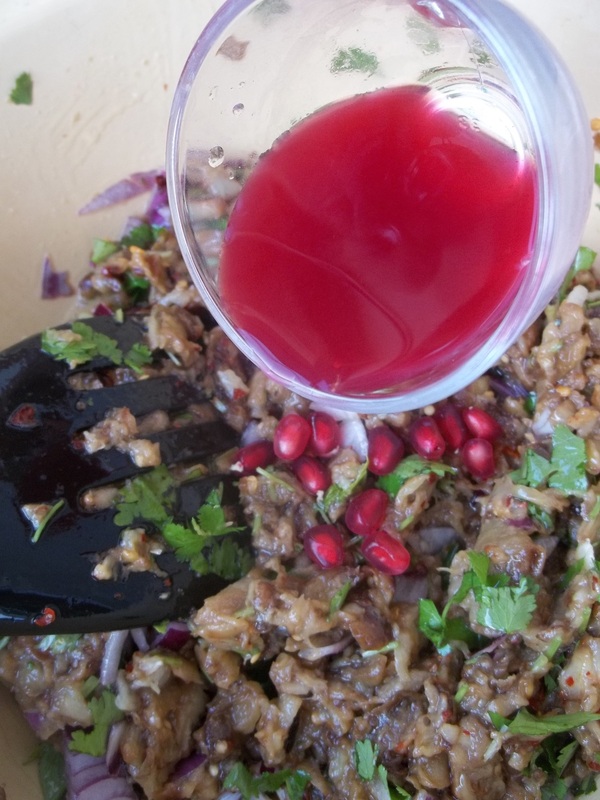 Cut the pomegranate and extract the juice from two thirds of the seeds. Add some of the remaining seeds to the mixing bowl and save some for garnish. Add the pomegranate juice to the mixing bowl and mix. 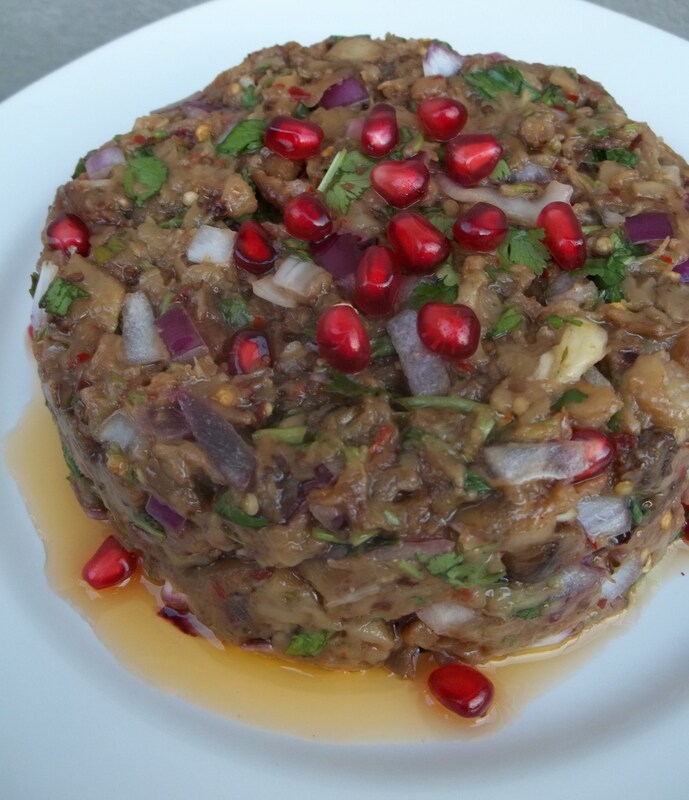 Serving: Shape the mixture (we used a bowl), garnish with pomegranate seeds and leave to stand for 30 minutes before serving. 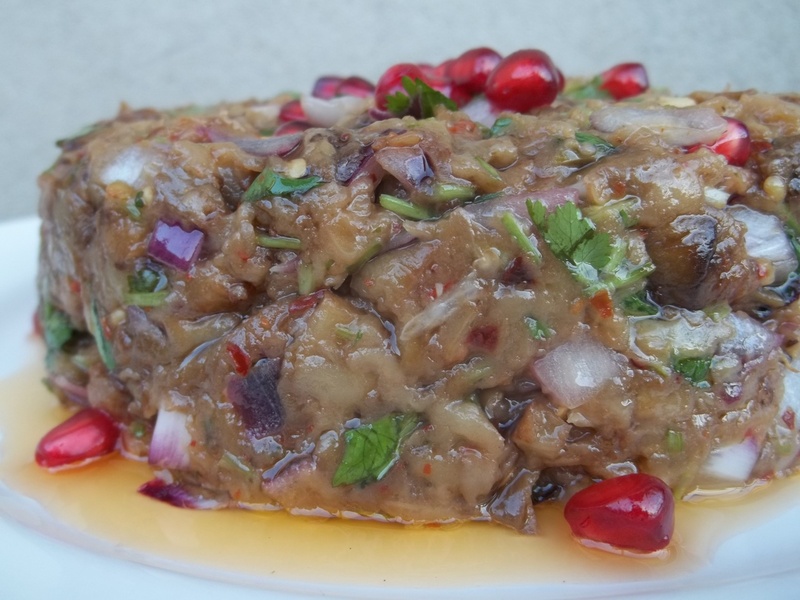 Enjoy your eggplant caviar with pomegranate!